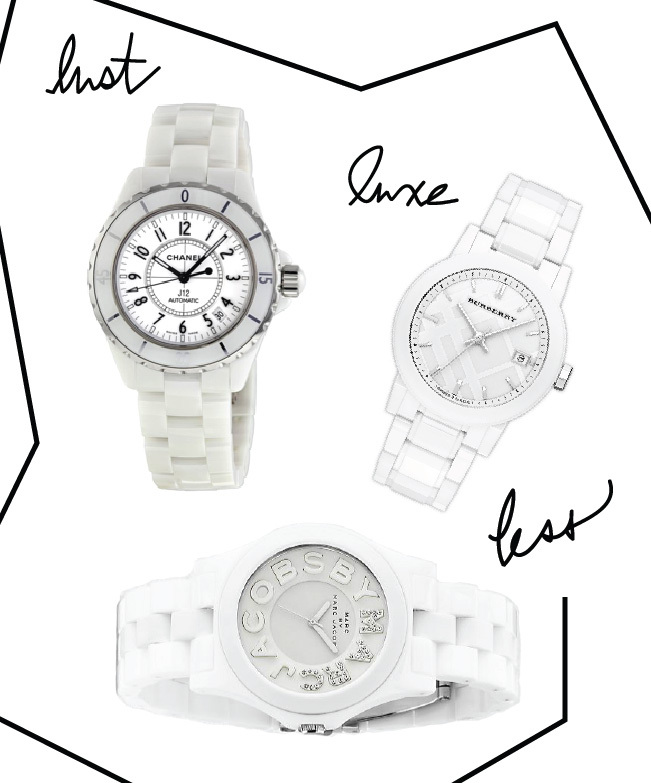 A white ceramic watch is the perfect statement timepiece for summer and beyond. A quick and easy way to freshen up your look, it never goes out of style and serves as a great neutral since it compliments all colors, from brights to pastels to black. Any one of these watches look at home paired with casual shorts or your best LWD (little white dress). Bonus: White always makes your gorgeous tanned (faux or natural!) limbs look tanner and leaner.